ELIGIBILITY: The Carefree® Speaking Freely About Life’s Surprises Contest (the “Contest”) is open only to individual, legal residents of the 50 United States and the District of Columbia (“D.C.”), who are 18 years of age and older (19+ in AL and NE) as of date of entry. Employees, officers and representatives of Edgewell Personal Care Brands, LLC (“Sponsor”), Advantage Sales & Marketing LLC d/b/a IN Marketing Services (“Administrator”), each of their respective parent companies, affiliates, subsidiaries, advertising, fulfillment and marketing agencies, and members of the immediate families (spouse, parent, grandparent, child, grandchild, sibling and their respective spouses, regardless of where they reside) or households (whether related or not) of any of the above are not eligible to participate in the Contest. By participating, you agree to be bound by the Official Rules and the decisions of the Sponsor and Administrator, which are final and binding in all respects. Void outside the 50 United States/D.C. and where prohibited by law. The Contest is subject to all applicable federal, state and local laws and regulations. TIMING: The Contest begins at 12:00:01 PM Eastern Time (ET) on 8/22/16 and ends on 10/3/16 at 11:59:59 AM ET (the “Promotion Period”). ASSIGNMENT: Write an original essay with a minimum of 50 words and a maximum of 500 words sharing a feminine care surprise you personally experienced (the “Essay”). The Essay must be factually accurate and based on actual events and circumstances. The Essay must be written in English in the indicated area of the entry form. The Essay may not include any trademarks other than the Carefree® trademark, but inclusion of the Carefree® trademark is not required**. Any Essay that is more than 500 words or does not meet the requirements as stated herein will be disqualified. **If an Essay includes the Carefree® trademark, you must clearly indicate that Carefree® is a registered trademark of Edgewell Personal Care Brands, LLC. Entrants are granted a limited, non-exclusive, royalty-free, non-transferable right to use the Carefree® trademark solely for purposes of submitting one (1) Essay in the Contest. 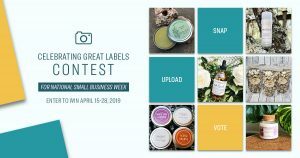 This grant of rights will automatically terminate at the end of the Promotion Period unless extended via signed writing from an authorized representative of Edgewell Personal Care Brands, LLC. ANY OTHER USE OF THE CAREFREE® TRADEMARK, INCLUDING USE OF THE TRADEMARK AFTER CONCLUSION OF THE PROMOTION PERIOD, CONSTITUTES AN ACTIONABLE VIOLATION OF THE RIGHTS OF EDGEWELL PERSONAL CARE BRANDS, LLC. 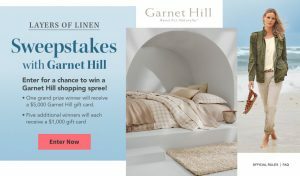 TO ENTER: Visit http://www.carefreeliners.com/speakfreelywithcarefree (the “Website”) during the Promotion Period and follow instructions to type your Essay and enter the Contest. Essay must be submitted and received by 11:59:59 AM ET on 10/3/16, the date the Contest ends. Standard data rates may apply if a mobile device is used for Contest entry. Check with your wireless service provider for details. By submission of an Essay, you grant Sponsor and its agents the right to copy, publish, use, adapt, edit and/or modify such Essay in any way, in any and all media, without limitation or consideration of any kind. Entrant further waives on behalf of him/herself any “moral rights” that entrant may have in the Essay. Entrant agrees upon Sponsor’s request and without consideration of any kind to sign any and all documents that Sponsor may require so as to confirm the foregoing grant of rights in his/her Essay. Essay must be written solely for the purpose of entering this Contest and may not have been submitted in any other competition, and cannot infringe upon any rights of any third party including but not limited to copyright, or other intellectual property rights, or rights of privacy or publicity. Sponsor reserves the right to disqualify any Essay it deems to be not original, inappropriate (the content of the Essay describing feminine care surprise must not be sexually explicit or otherwise inappropriate for publication/reading by a general audience), offensive (obscene, provocative or otherwise questionable content), to include content unrelated to the Contest theme of sharing a feminine care surprise you personally experienced, illegal conduct of any kind or not in keeping with Sponsor’s image for its brand, in its sole discretion. Entrant understands and agrees that (I) Sponsor has wide access to ideas, stories, designs and other literary/artistic materials submitted to it from outside sources or being developed by its own employees and that such ideas/stories/designs/literary/artistic materials may be competitive with, similar to (or even identical to) the Essay submitted by entrant as part of his/her entry and that Sponsor shall have no liability to entrant or any third party in conjunction therewith; and (II) Sponsor and its agencies do not have any duty of confidentiality or other fiduciary duty to entrant relative to an Essay submitted as part of his/her entry. omissions, interruptions, deletions, defects, delays in operations or transmission, communication failures or human error that may occur in the transmission, receipt or processing of entries, or for destruction of or unauthorized access to, or alteration of entries; (c) failed or unavailable hardware, network, software or telephone transmissions, damage to entrants’ or any person’s computer, mobile device and/or its contents, or causes beyond Sponsor’s or Administrator’s control that jeopardize the administration, security, fairness, integrity or proper conduct of this Contest; (d) incorrect or inaccurate entry information whether caused by entrants or by any of the equipment or programming associated with or utilized in the Contest; (e) any typographical or other error in any printing or advertising related to this Contest, in the administration or execution of the Contest, or in the announcement of the Prize winners; or (f) cheating or fraud by any person (whether or not an entrant). Sponsor is not responsible for any interruptions in phone service, unavailable network, server, Internet Service Provider (ISP), website or other connections that may limit a person’s ability to participate in the Contest. In the event of a dispute as to the identity of an entrant or regarding Essay entries received from multiple users having used the same e-mail account, the authorized subscriber of the e-mail account for the e-mail address provided at the time of entry will be deemed to be the entrant. Authorized account subscriber is the natural person who is assigned the e- mail address by the ISP, on-line service provider or other organization responsible for assigning e-mail addresses for the applicable domain. Incomplete or otherwise non-compliant entries will be void. JUDGING: All eligible Essays received will be judged by a panel of independent qualified judges and Sponsor whose decisions are final and binding in all judging matters relating to this Contest. Essays will be judged on the following criteria: 1) Creative ability to express the circumstance of a “life’s surprise” as it relates to feminine care (45%); 2) Originality (possibly including tips and tricks) when handling the feminine care “life’s surprise” and explanation of why you feel that by speaking freely about your life’s surprise could help and/or influence other women when presented with a similar situation (45%); and 3) Essay quality in terms of proper grammar, spelling, clear expression of thoughts (10%). The entrant who submitted the Essay with the highest total score will be declared the Grand Prize winner, subject to verification. The entrants who submitted the Essays with the five (5) next highest scores will be declared First Prize winners, subject to verification. In the event of a tie, tied entries will be judged by an additional tie-breaking judge using the same criteria. Winners will be notified by e-mail on or about 10/17/16. rental terms & conditions), $3,400.00 spending allowance and air & hotel taxes. If winner chooses New York City as travel destination, rental car will be excluded and no alternate or substitute prize will be awarded. If winner chooses Los Angeles but winner or guest fails to qualify for rental car for any reason, winner will receive ground transportation during trip. Winner & guest must travel together on the same itinerary or prize will be forfeited in its entirety. If winner lives within 120 miles of chosen destination (i.e., Los Angeles or New York City) as determined by Sponsor/Administrator in their sole discretion, ground transportation will be provided in lieu of air travel. Spending allowance will be awarded in the form of a prepaid debit card or check (at Sponsor’s sole discretion); should Sponsor elect to award spending allowance as a debit card, Sponsor shall determine in its sole discretion the issuer of the debit card and the debit card will be subject to the terms and conditions of use as indicated thereon. Travel must be completed by 7/31/17. Travel subject to availability, blackout dates, advanced notice requirements, and once booked, no changes will be permitted. Winner and guest will not receive frequent flyer miles, hotel stay award points or other “perks” in conjunction with prize travel. Winner and guest must act appropriately during trip; and, if they fail to do so, the trip may be terminated and Sponsor will not have any further liability or obligation to the winner or guest. Additional restrictions may apply. Approximate Retail Value (“ARV”): $7,100.00. Any difference between the estimated ARV stated above and the actual value will not be awarded. Five (5) First Prizes: a $500 Visa® Prepaid Card. Visa Prepaid Card will be pre-loaded and may be used in the United States and U.S. Territories wherever Visa Prepaid Cards are accepted. Funds will be available through the expiration date listed on the front of the card. After that date, unused funds, if any, will no longer be available and will be forfeited by winner. For complete terms and conditions visit www.prepaidcardstatus.com. (Visa® trademark is used for prize identification purposes only; no sponsorship, endorsement or authorization is intended or implied by such use.) Limit: one (1) prize per family/address/household. Allow 4-6 weeks for shipment of First Prize after winner verification. PRIZE RESTRICTIONS: No substitution, assignment or transfer of prize permitted by winner. Prize cannot be redeemed for cash (except for spending allowance element of Grand Prize and First Prizes), but Sponsor reserves the right to substitute a prize (or portion thereof) of comparable or greater value, at its sole discretion if an advertised prize or portion thereof becomes unavailable. All federal, state and local taxes and any other costs and expenses associated with the acceptance and use of any prize not specified herein are the sole responsibility of each winner. Grand Prize winner will be issued an IRS 1099 Tax Form for value of prize won and agrees, upon Sponsor’s request and without additional compensation, to fully cooperate with Sponsor and its agencies relative to Sponsor’s compliance with any applicable tax reporting requirements. and return an Affidavit of eligibility, liability release and (where lawful) a publicity release and may also be required to complete/sign/return an IRS Form W9 and perhaps other documents. Guest of Grand Prize winner will be required to complete and return a liability/publicity release prior to booking of Trip travel arrangements and if such guest is a minor, paperwork must be completed by the minor’s parent/legal guardian who must accompany the minor on the Trip (i.e., the minor’s parent/legal guardian must be the Grand Prize winner). Noncompliance by date specified for the return of the documents, or return of these documents or any prize or prize notification as undeliverable, will result in disqualification and prize forfeiture; and, in such case, an alternate winner may be selected in the manner set forth above in “Judging”. Sponsor is not responsible for any change of email address and/or mailing address. OWNERSHIP/USE: Acceptance of a prize constitutes the entrant’s consent to irrevocably assign and transfer to the Sponsor any and all rights, title and interest in the Essay, including, without limitation, all copyrights, and the entrant waives all moral rights in respect of Essay. By submitting an Essay, entrant represents and warrants that (a) the Essay is original work created solely by the entrant and all factual matters set forth therein are true (and entrant agrees to furnish additional information/materials to Sponsor/Administrator upon request so as to substantiate the truth of such factual matters, with the understanding that the inadequacy of such additional information/materials or his/her failure to timely respond to any such request may not result in disqualification from the Contest), (b) the Essay does not infringe on the copyrights, trademarks, moral rights, rights of privacy/publicity or intellectual property rights of any person or entity, (c) use and publication of the Essay by Sponsor will not infringe on the copyrights, trademarks, moral rights, rights of privacy/public or intellectual property rights of any person or entity, (d) the Essay has not previously been and will not in the future be entered in any other contest, (e) the Essay has not been previously published in any medium and (f) should the Essay contain any representation regarding the entrant’s use of Carefree® product(s), entrant agrees from time to time, upon Sponsor’s request and without consideration of any kind, to advise Sponsor as to whether entrant still retains their original opinion of Sponsor’s Carefree® product(s). By submitting an Essay, the entrant further agrees that Sponsor may exploit, edit, modify, and distribute the Essay and all elements of such entry, including, without limitation, the names and likenesses of any persons or locations embodied therein, in any and all media now known or not currently known, throughout the world in perpetuity without compensation, permission or notification to entrant or any third party. Winner, by acceptance of prize, except where legally prohibited, grants permission for Sponsor and its designees to use his/her name, photograph, biographical information contained in winning Essay, voice and/or likeness for advertising, trade and promotional purposes without further compensation, at any time, in all media now known or hereafter discovered worldwide and on the Internet without notice or review or approval. with their terms as if the invalid or illegal provision were not contained herein. In the event there is a discrepancy or inconsistency between disclosures or other statements contained in any Contest-related materials and the terms and conditions of these Official Rules, the Official Rules shall prevail, govern and control. WINNERS LIST: For the names of the prize winners, send an email to be received by 11/30/16 at 5:00:00 PM ET to: Winners@ASMnet.com and include “Speaking Freely About Life’s Surprises Contest” in the subject line. Names will be sent after winners have been verified. DO NOT SEND ENTRIES OR ANY OTHER FORM OF CORRESPONDENCE TO THIS EMAIL ADDRESS. SPONSOR: This Contest is sponsored solely by Edgewell Personal Care Brands, LLC, 6 Research Dr., Shelton, CT 06484. Contest Administer: IN Marketing Services, 501 Merritt 7, Norwalk, CT 06851. Visa Prepaid Card is issued by The Bancorp Bank, Member FDIC, pursuant to a license from Visa U.S.A. Inc.
©2016 Edgewell. All rights reserved.